DARE TO FALL IN LOVE WITH CASA AMORE CIELO! From the moment you step through the doors of Casa Amore Cielo, youÃ¢â‚¬â„¢ll realize that your dream home awaits. 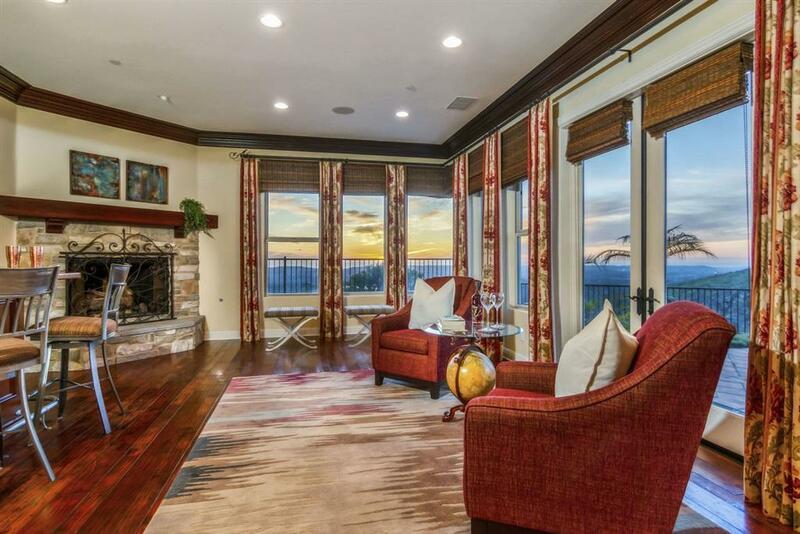 Panoramic views, high-end style, and quality finishes throughout will capture your eye. 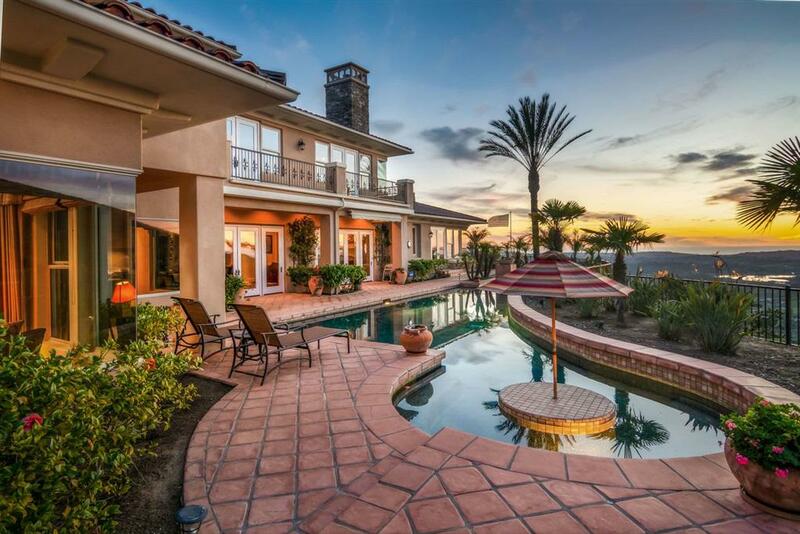 Your exclusive entertaining oasis is perched on a coastal peak with views from the mountains to the Pacific Ocean. Set behind the gates of this prestigious award-winning, 24/7 security guard/gated master planned community, SEE MORE in Supplemental this estate offers the privacy, comfort & modern conveniences you have come to expect. INDOORS: The ultimate open floor plan has four en-suite bedrooms including a spacious Master retreat with sitting area and separate her/his bathrooms + walk-in closets. On the first floor, you will find a guest suite, formal dining & living rooms, gourmet kitchen with breakfast nook, family room, and clubroom with bar. The upstairs multipurpose room with entertainment center generously splits two more bedrooms. A three-car garage with built-in cabinets, and five fireplaces throughout complete the home. 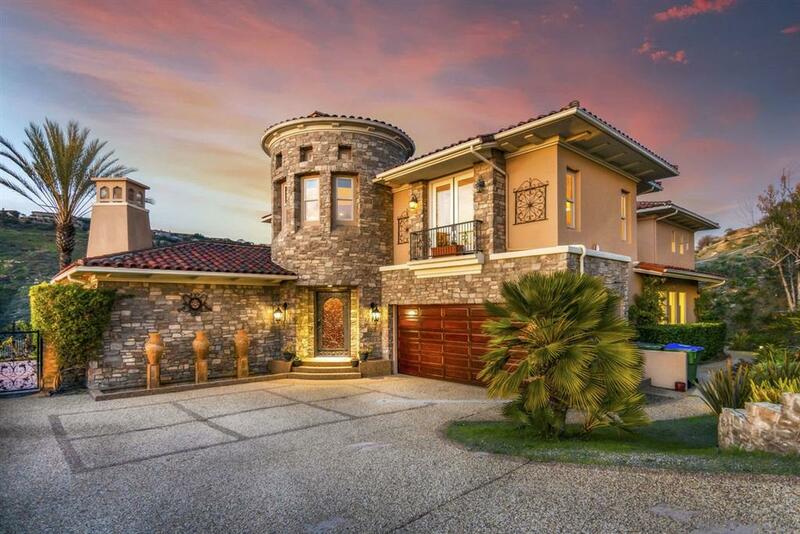 OUTDOORS: Enjoy the almost daily sunshine and perfect climate that eludes the coastal marine layer and the warmer climate to the east that affords a year-round indoor/outdoor lifestyle that this residence provides. Entertain family and guests under the sun (or moon!) with the fully-equipped outdoor kitchen complete with a wood-fired pizza oven. Sip wine while enjoying vermillion sunsets over the Pacific Ocean from the pebble tech pool and Jacuzzi. Enjoy your outdoor living space perched over the Tuscan Village-like citrus groves of Ranch Santa Fe and the flickering lights on Encinitas Boulevard every evening. On the 4th of July, you are treated to no less than five simultaneous fireworks shows from Seaport Village to Carlsbad from your very own backyard. COMMUNITY: CIELO is a highly desired community situated between prestigious Rancho Santa Fe and artsy Encinitas. Work out at the fully-equipped Club Cielo Fitness Center and Pool. Play tennis on one of the three tennis courts available as well as basketball, volleyball and badminton at the Cielo playground. Host retreats for business colleagues at Club Cielo. Rancho Santa Fe boasts the coveted K-through-8 public school, R. Roger Rowe. The San Dieguito Union High School District includes Torrey Pines and Canyon Crest Academy, rivaling the best private high schools. SUMMARY: This beautiful home is easy to love offering elegance, quality and privacy with a luxurious 4 bedroom/4.5 bath footprint that boasts stunning views, large indoor and outdoor entertaining spaces in a quality community and location at the lowest price per square foot in CIELO. Imagine coming home each night to Casa Amore Cielo, your private hilltop oasis where it always feels peaceful and tranquil . . . not quite a vacation, but close to it! Listing provided courtesy of E&V Ranch And Coast, Inc.. Listing information © 2019 San Diego MLS, Inc.